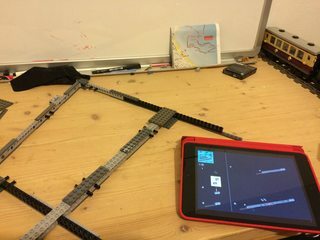 I bought the lego imperial star destroyer a couple of months ago to display because I love to glaze at an Imperial star destroyer. After a while I realised that the set 6211 really lacks in detail. So I thought I would mod it to make it look better. So I started browsing some pictures of the imperial star destroyer to get some ideas. I printed the parts list and started collecting the pieces I need and circled the ones I still have to buy from bricklink. I then realised I only have 1356 pieces. thats about 33%. So I have to buy a lot more. I made a wanted list from the pieces I need and started looking for the stores to buy the pieces from. The total cost is about 450€ which I will gladly pay for an epic star destroyer. I won't buy pieces that are 30€ per piece, so I just bought them in a different color and I will just paint them. That saved me a lot of money. I didn't buy the tan magnet holders because they are 20€ per piece and I need 14 of them, so I'll just buy a different kind of holder. I won't buy the pieces for the tantive IV, I'll just make it with the pieces I have. I now only have to pay some stores and then the waiting game can begin. Uploading a picture is pretty easy, depending on what image host you use. You need to have them uploaded somewhere on the Internet to post deep link them here. If you don't have an image site, I would suggest Flickr, because it's really easy to post from there. If you have them anywhere else on the Internet, you need to copy the image URL and then in Eurobricks, hit the little image button in the editor, and paste the link there. If you use Flickr, then you can get a link by hitting the export button, choose BB code (I think that's what it's called...) and pick you size. Copy the link and just paste it into your text box. I hope this made sense and or helped you! If you have any questions just ask. Brickshelf (http://www.brickshelf.com) is also a decent image hosting site. It does require the kind of steps listed above, but it is completely anonymous (if you care about that sort of thing). However, it has been known to go down for maintenance often and for long periods of time. What kind of magnet holder did you buy? I'm not aware of any mod using different parts that would work with the ISD... that's why no one bricklinks it. The blue holder is attached to the frame and the red one is attached to the side panel. This is how I will replace the expensive tan parts. How are you attaching it? The plates are pretty heavy, and the original design barely holds them on. If that doesn't hold I'll just reinforce it a bit. When I can't seem to find a way to make them stay attached I'll just use glue. That should be strong enough. I'll only use it if I'm desperate. I don't think it will come to that. 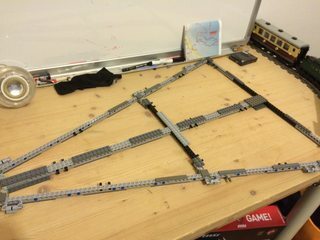 Keep in mind the weight of the plates is enough that it actually warps the 1x16 technic beams over time without reinforcement/modding. It's a very heavy set. The bow definitely starts drooping over time. 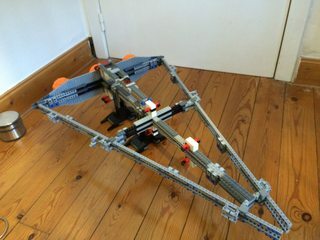 I had the set on display from 2004-2012, then rebuilt it and flipped the interior over to straighten out the bends in the technic structure. But I'd like a more permanent solution. Do you have pics of this mod? 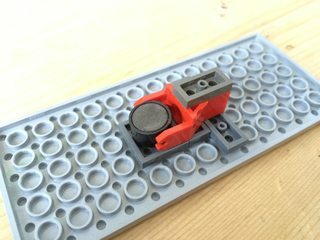 You can see a bit of it in my brickshelf picture. I moved the display leg forward to the middle of the docking bay so that it centered over where the beams meet. 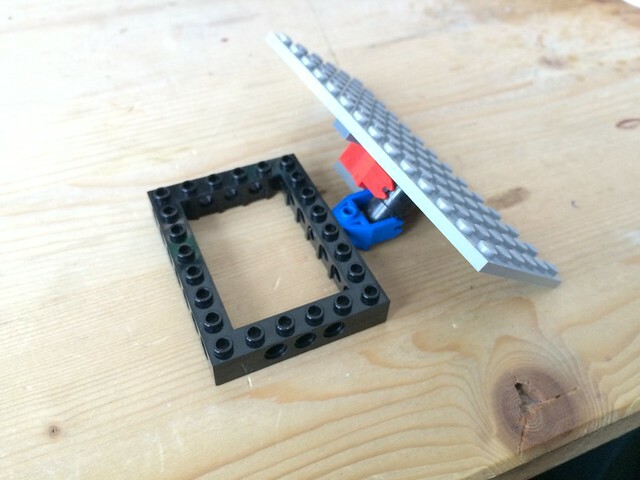 This creates better weight leverage, and there's already space for it so it's very easy. 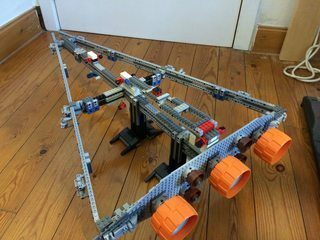 After that, I made bunch of the clamps that the original design uses to hold the technic structure together. I don't remember how many exactly, but it was probably around 20. Two in the back by the engines, two on the sides, two on the internal middle cross spine, and the rest on the main middle support spine. I placed them across wherever two beams met. Then lastly I just added some plate to the top and bottom of the main the main spine. All basic parts, and the colors don't really matter. This takes away any ability for the beams to flex away from each other, and should prevent warping in the long term. I had 3 packages but not the parts I need to start building. Hopefully some more will arrive after the weekend. I "finally" received the orders that I needed to get started. I have received an order that wasn't fully correct. I have already contacted the seller. A nice start. Isn't that frame huge? And the ship ends up being a lot bigger than the frame. I received all packages from Bricklink. Now I only need the Pick A Brick order and then I can continue with the panels and finish the ship. You can see that the engines are in a completely different color. If you don't you're probably blind. I didn't want to pay 30$ for one piece so I bought them in a different color. Also I ordered two cans of spray paint. One can of RAL 7040. It's supposed to look like Light Bluish Grey. And RAL 7031. It should be like Dark Bluish Grey. I hope the last order will arrive soon. Then I can finish this epic ship. You can probably see that the engines are in the completely color. If you don't your probably blind. I didn't want to pay 30$ for one piece so I bought them in a different color. I often wonder why TLG does not use parts more frequently. 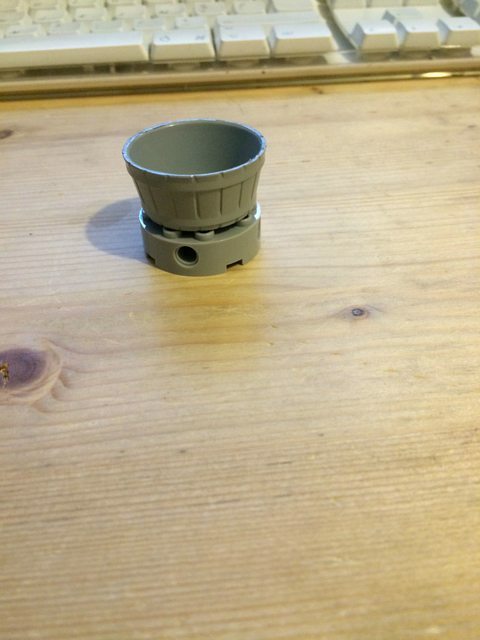 Take the LBG antenna, they used it on several sets and then gave up on it to use LBG base and a black antenna when the LBG antenna would look so much better. But at some point the decided to stop making them and they stuck to their decision. I understand some parts like the mast pieces on the MF or in this case the large wheels on the ISD.... I say paint away my friend, it will look just as good and you will have spent half the cash!!! I'll give a comparison when I'm done spray painting. Hopefully I'll receive the last package tomorrow. Nice one! Looking good so far! I'd be very interested in your total cost, as I was offered a complete mint set for a little under 900€, which seem all right but is still a lot of money! My two cans of spray paint arrived today. I started spraying the 4 wash tubs and they look great. 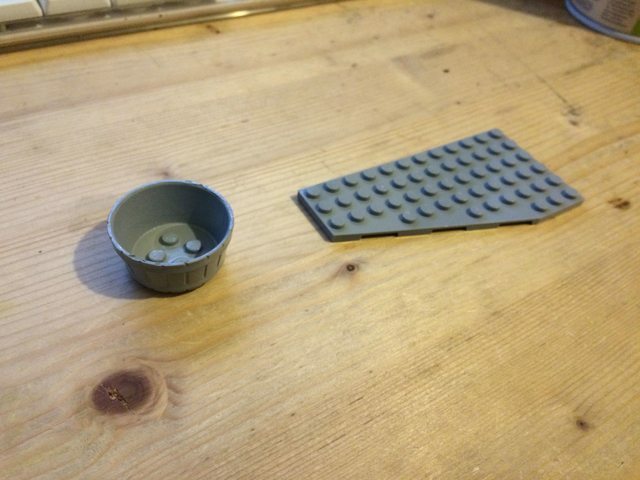 This is one tub near a real light bluish grey piece. Here it is stacked on another light bluish grey piece. These two should attach to the back frame to form the backup engines. I'm really happy with the result. I can't tell the two colours apart. I'm still busy with the main engines, these take longer because they're bigger. That paint worked really well. Maybe at some point I'll need to pick some of this up.